ROMAinCANTO is a no profit association which was founded with the aim of promoting and divulging the passion for music, particularly for sacred polyphony. The enthusiastic praise of the large audience attending the music festival "Rassegna Musicale ROMAinCANTO", the concerts of "Musica e Meditazioni" and other special events organized by our association, spurs us to carry on our activity. Our wish is to support and divulge the wide variety of sacred choral literature with a special consideration for Rome's music tradition. The Association is sponsoring the "ROMAinCANTO International Music Festival", which was joined choirs from all over the world for several years now makes his contribution in the music scene Roman, organizing concerts of sacred music, symphonic and other events cultural. 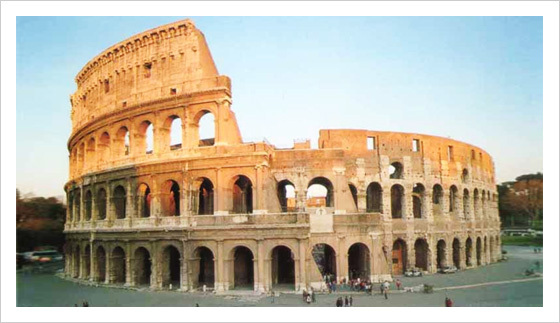 Our wish is to be able to contribute more and more to the dissemination and use of the 'huge musical heritage that belongs to us, especially with regard to the city of Rome has always been the center of this strong musical tradition.